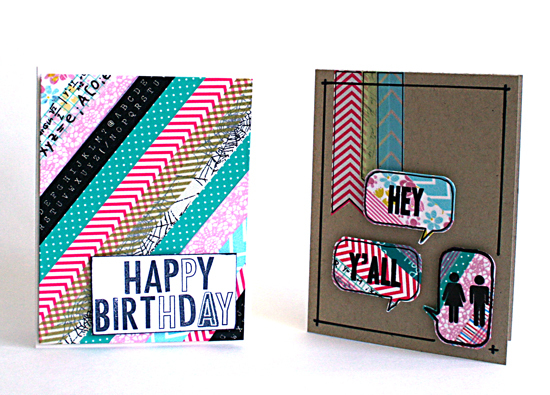 These are awesome…such a great use of your washi collection! 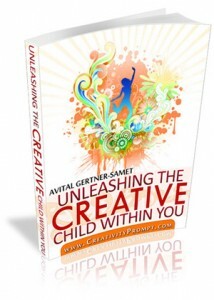 so cool and creative Avital! How awesome that you’re actually using your supplies to create something to brighten someone’s day. I loved my card, it is gorgeous and it’s sitting on my craft desk smiling at me right now! I’m so glad you like it! For your card I used fabric ribbons and adhered them with double sided tape, that I lined the mat with. FUN cards! 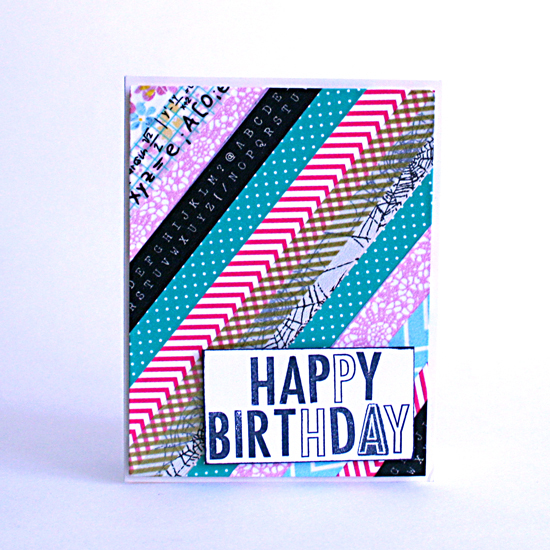 I love your use of the washi tape! Thanks for joining us for the Simon Says Stamp Challenge! Your cards are really cool! 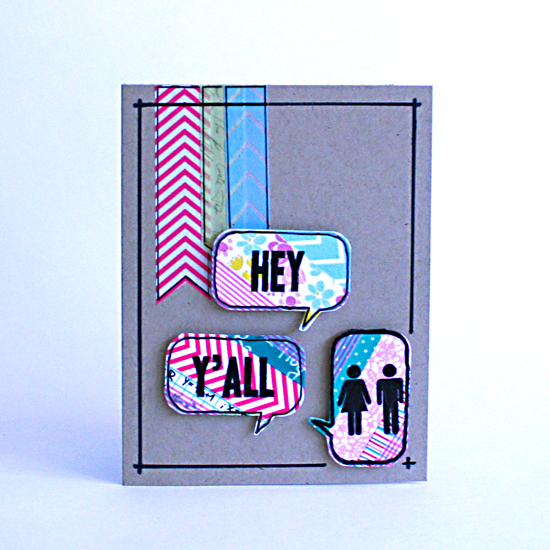 Love the slant stripes with a bold sentiment over them! Your mini album is stunning – thank you so much for sharing!